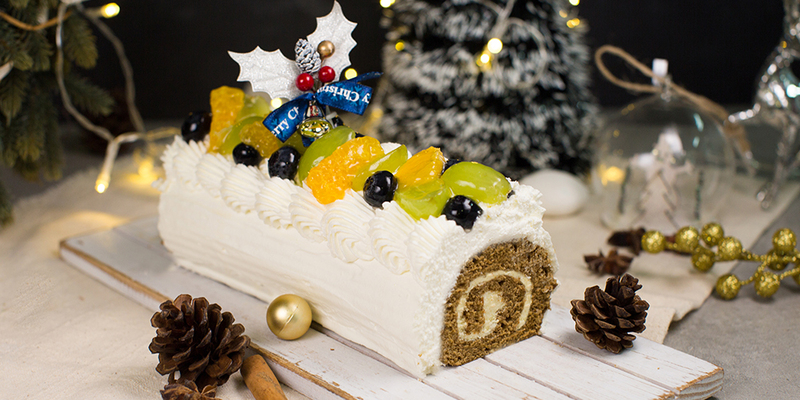 How about baking a log cake for this Christmas? Our deliciously moist and fluffy Gingerbread Log Cake is loaded with spiced creamy mascarpone cream and frosted with snowy white Chantilly cream. Come and celebrate Christmas with us here at Bakers Brew and bring home your very own log!